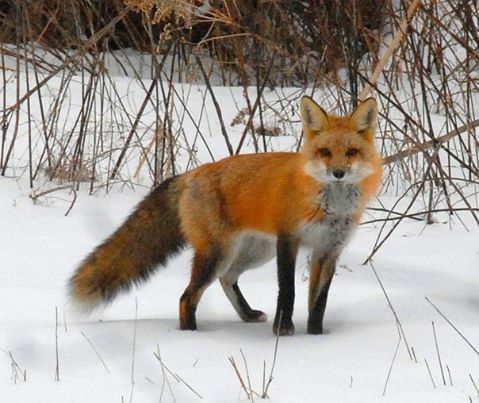 Red Fox in Kent, Connecticut. I have over 20 years of extensive professional experience in land conservation that is based on sound peer-reviewed science that I integrate into every aspect of my work. While most of my work is focused on Northwestern Connecticut, I have conducted ecological studies across New England including sites in the Adirondacks, the Green Mountains, the White Mountains, and the Great North Woods of Maine. My reports are well-known for their exceptional quality and their deeply informative nature that places them above the strictly technical writing of most other workers. I write not only to inform but to inspire while giving the land the focus that it deserves. My work has been praised by many leaders in the conservation and science communities including Stephen Small, Thomas Siccama, and others. You will find my rates to be favorable as well. In addition to my services, I can provide referrals to other proven Northeastern professionals of the highest regard who are engaged in stewardship, baseline documentation, preserve monitoring, habitat restoration, arboriculture, rare plant and animal identification and surveys, wildlife rescue and rehabilitation, conservation law, forestry, Accreditation, OSWA and other grant writing, computer and network infrastructure, land appraisals, real estate, and more. I do not receive nor will I accept commissions for referrals. All of my recommendations are based on my desire to advance conservation work in a manner that reflects peer-reviewed science and national land trust standards.